It is very important for cars and bikes to be aware of one another on the road. If each party has an understanding of their responsibilities, as well as knowledge on what the other is doing, there should be less issues and accidents. Below are a few bike safety tips for bicyclists and automobile drivers on how to stay safe this summer. “Slow Down”: Sometimes it is necessary to gently remind drivers that you are on a bicycle and not in a vehicle. Instead of yelling, gently wave your hand by your side to sign that you would like them to slow down. To depict that you need more room, gently wave your hand up from your side. 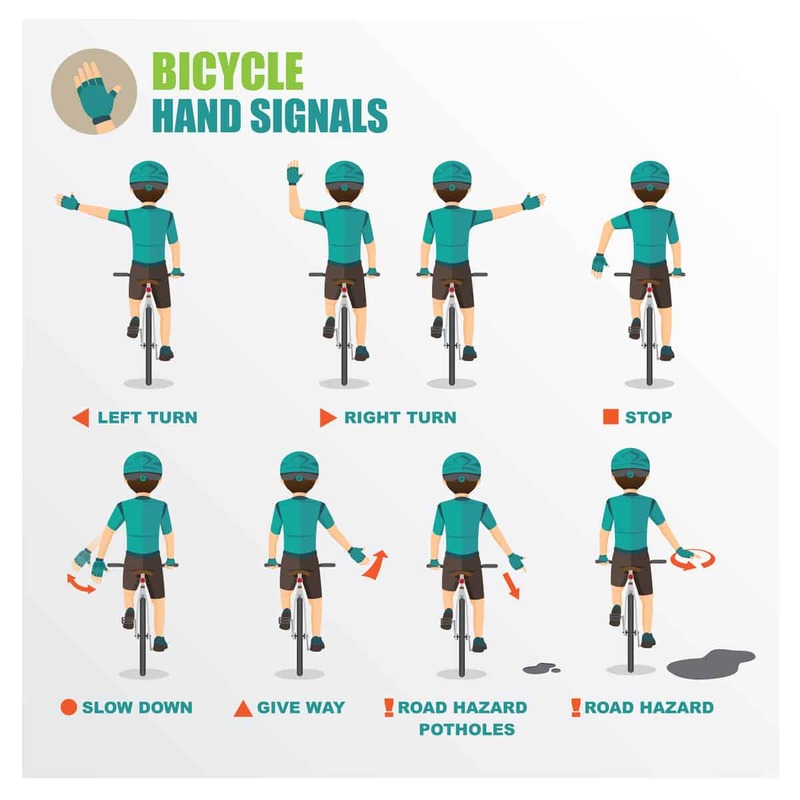 Identifying Road Hazards: This can be done by bikes by pointing or waving in the direction of the road hazard. This will help give attention to an obstacle in the road and lower risk of an accident. Taking similar routes as cars is a risk to bikers especially if the road is busy. Try instead to take back-roads and cross the busy streets instead of traveling them. When in a heavy traffic area make sure to move in the center of the road. Cars turning left usually will not see you right away because they are looking for traffic in the middle of the road, not the edge. Busy streets also usually mean cars parked on the side of the road. It is very important to stay alert for open car doors or people in the process of parking so that you do not collide with them and injure yourself. Most importantly, always ride with traffic. Vehicles are not expecting any drivers to be coming from the wrong way and are therefore not looking for you. This is against the law and creates a high-risk environment for collisions and accidents. If you or a loved one has been injured and needs legal help, please contact Rob Levine & Associates. Our experienced personal injury lawyers will review your case to help you understand what your next steps should be. Getting legal help can put your mind at ease and let your focus on getting better. At Rob Levine & Associates we are experienced in personal injury cases in Rhode Island, Massachusetts, and Connecticut. Our team is available 24/7 to help you. Contact us at 888.533.707 or visit our website for more information.